Domestic Violence and the Media Research Papers report that the media portrays domestic violence poorly. How does the media portray domestic violence of famous individuals? Is the media softer on well-known stars versus the common man/woman? What is the impetus for the recent focus on domestic violence among actors, sports stars and politicians? The media portrayal of domestic violence in the entertainment media, such as movies and television, has similarities and differences, compared to news media reporting on domestic violence. Research papers on the Media and Domestic Violence have noted that since the news media began discussing domestic violence in the 1970s, it has increasingly confined the subject to the private sphere and focused on the individual women involved, either blaming them for the abuse or viewing them as heroes fighting against a cruel individual. During the 1980s, unwillingness by police to arrest abusers, an unsympathetic legal system, cuts in public sector housing and lack of national funding for women's refuges reinforced the notion of individual responsibility and the view that domestic violence was a private matter. This treatment of domestic violence as an individual crisis does not reflect the nature or scope of this social problem. Likewise, the entertainment media offers the same perspective, with the focus on individuals. The entertainment and news media both present their perspective of domestic violence from a realistic view, which adds validity to media representations of domestic violence. Reality news shows like Hard Copy and reality-based movies, such as the cases of Amy Fisher and Joey Buttafuoco and the Menendez brothers illustrate how narrow the lines between fact and fiction can be in the media. Although these two cases have many elements in common with thousands of other domestic violence cases that occur each year, they have been singled out and made larger than life by both the news and entertainment media, as if these cases are extremely rare. It is the media that have made the characters involved in domestic abuse appear unique and sensational, rather than exposing that these cases are only a small part of a much larger domestic violence problem in society. History of Domestic Violence research papers show how domestic violence has been documented throughout the ages. Order a research paper on domestic violence from Paper Masters. Running Head: Domestic Violence Research Papers look at a sample of a paper order on a sociology topic with specific format requirements. Literature Review on Domestic Violence are custom written. Order a custom written, plagiarism free literature review on domestic violence here! Theoretical Approaches to Domestic Violence research papers examine how to explicate the topic of domestic violence from a sociological standpoint. 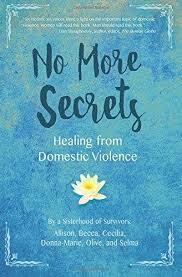 Murder and Domestic Violence research papers report the number of domestic violence cases that end in murder. Physical Abuse Research Papers Boys are more likely to suffer physical abuse than are girls. and sadly domestic abuse can easily lead to murder in spite of the intervention of domestic violence. Paper Masters writes custom research papers on Domestic Violence and the Media and report that the media portrays domestic violence poorly.